Hop on over and enter the Oh Nuts! giveaway for a chance to win a $25 gift certificate! Hope you guys had a happy and tasty Thanksgiving. This is one of the pies we baked for the event. My mom got this recipe from a friend of hers a while back and it makes for a unique addition to the lineup. It features slices of apples baked inside a sour cream custard center and topped with a crispy, nutty crumb topping. 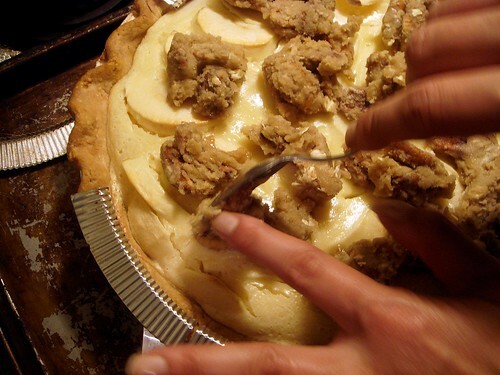 The filling gets placed into a par-baked pie crust. 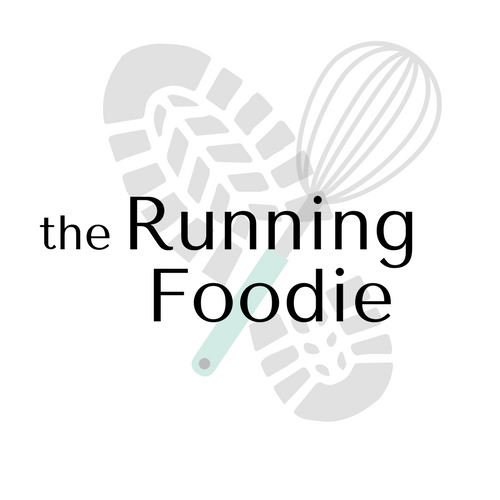 I tried the pie crust from How To Eat A Cupcake. It's similar to others I've made, only it has a bit of baking powder. I found this gave the baked crust a slightly denser feel, though still flaky. I also noticed that as I baked this crust it kept the nicely crimped edging more than usual. However, I still need work figuring out my pie crust issues, namely that the bottom refuses to crisp. It's as if the filling seeps into the crust and prevents it from crisping. I meant to brush the bottoms with beaten egg whites, but oh well. My mom also cooked the apple slices in a sugar syrup so that the apples would cook a bit and not be as firm in the filling. You could saute yours until the apples started to feel tender if you wanted. The apples were then drained and mixed with the filling. 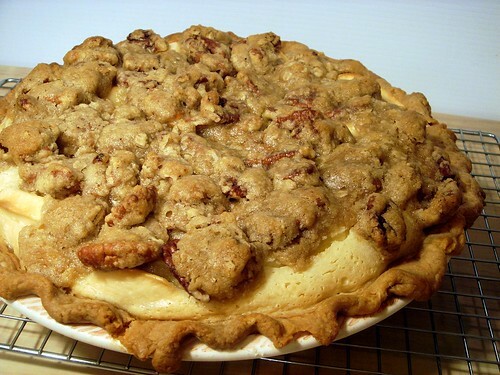 Topped with the crumb topping, including whole pecans, then returned to the oven to crisp and become golden brown. 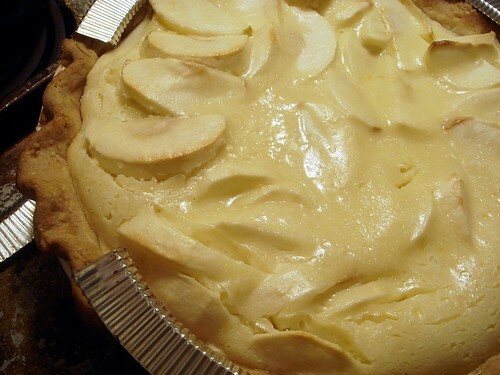 Preheat oven to 400°F and place the pie plate on a large rimmed baking sheet. 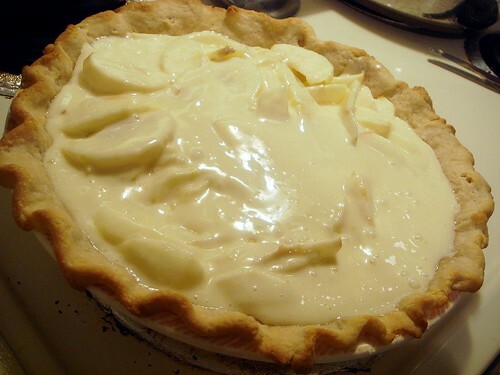 In a large bowl mix together the sour cream, sugar, flour, egg, vanilla, and salt; stir in the apples and stir to coat. 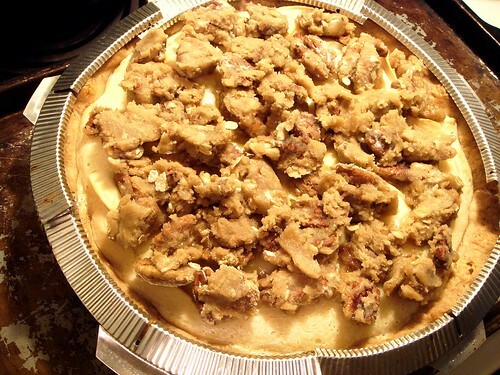 Pour into pie shell and bake for 10 minutes. Reduce heat to 350°F and bake for 40 minutes, or until a knife inserted into the center comes out clean. While the pie bakes, prepare the topping. Mix the nuts (if coarsely chopped) with flour, both sugars, cinnamon and salt. Stir in the butter and continue mixing until mixture comes together. If nuts were left whole, stir them in now. When pie is ready, remove from oven. Top with coating, dolloping from a spoon. Bake for 15 minutes or until the topping is crisp and golden. Let cool at room temperature before serving. this is so yummy...i love the toppings..thanks for sharing the recipe..